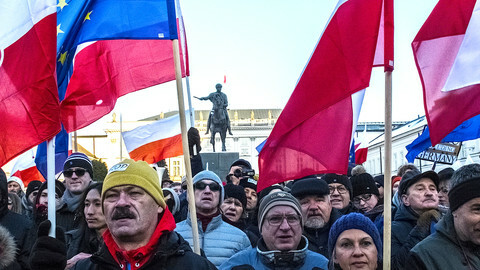 Poland's Law and Justice party (PiS) took over the country 100 days ago and has since been embroiled in controversies over media freedom, its handling of the currency and allying itself with eurosceptics. However, the party appears to focused on an even more controversial goal: boosting state control of the economy. One of the main obstacle for Poland’s development – according to the government's Plan for Responsible Development announced last week – is a lack of balance between foreign and domestic capital. Foreign companies transfer around 95 billion zlotys (€22 billion) abroad every year, according to the plan. Half of Poland’s production and two-thirds of its export come from companies with foreign capital, and only six Polish companies can be considered “world-class champions”, the plan states. "Foreign capital is extremely important and welcome but there has to be a balance if we want to keep a healthy growth," development minister Mateusz Morawiecki told a press conference while announcing the plan a week ago. Development ministry official Jerzy Kwiecinski explained further to EUobserver: "We need to become less dependent on foreign capital, especially in such crucial, strategic sectors like media, banks or energy. Therefore we need to support and mobilise national investments." These statements highlight the concept of “repolonisation”, a term used in Polish history to mean taking control of assets that had been seized by foreign invaders - "Russianised" or "Germanised". Dariusz Rosati, a Polish MEP from the centre-right European People's Party, told EUobserver that PiS politicians were promoting a stereotypical narrative of Poland being “economically exploited” and “dominated” by Western Europe. “But the truth is that without foreign capital, Poland wouldn’t have been able to grow faster then any other country over last 10 years," he says. Jacek Kucharczyk from Institute of Public Affairs, a Polish think tank, adds that PiS politicians are caught in a paradox. On the one hand, they want an open European market, but on the other hand, they want to divide capital in Poland into national or foreign and promote interventionist policies, he says. “Such thinking doesn’t stand in line with EU rules on internal markets, fair competition or equality before the law regardless of the country of origin,” he says. PiS official Jerzy Kwiecinski rejects these accusations, saying: "We only believe that to leave behind the 'age of childhood' and move to the 'age of adulthood' our economy should be less dependant on foreign capital." Repolonisation has deep roots within PiS. 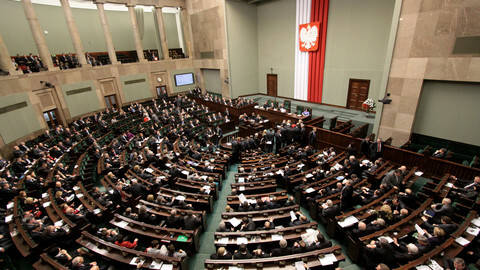 During the party's first spell in power, which lasted on-and-off from 2005 to 2007, its leaders came up with an idea of creating something called the Polish National Group by merging some of the biggest state-owned enterprises (SOEs) to create a national enterprise big enough to compete in Europe. This idea seems to be back. In order to “repolonise” the economy, PiS wants to mobilise national capital to increase direct investment by Polish companies in Poland and abroad. The development ministry sees SOEs as one of the drivers for this. Poland owns 326 SOEs, employing almost 160,000 people. The enterprises are worth more that $60 billion, 17 of them are listed on Warsaw Stock Exchange and many are the biggest companies in their sectors. They include banks, insurance firms and mining companies. 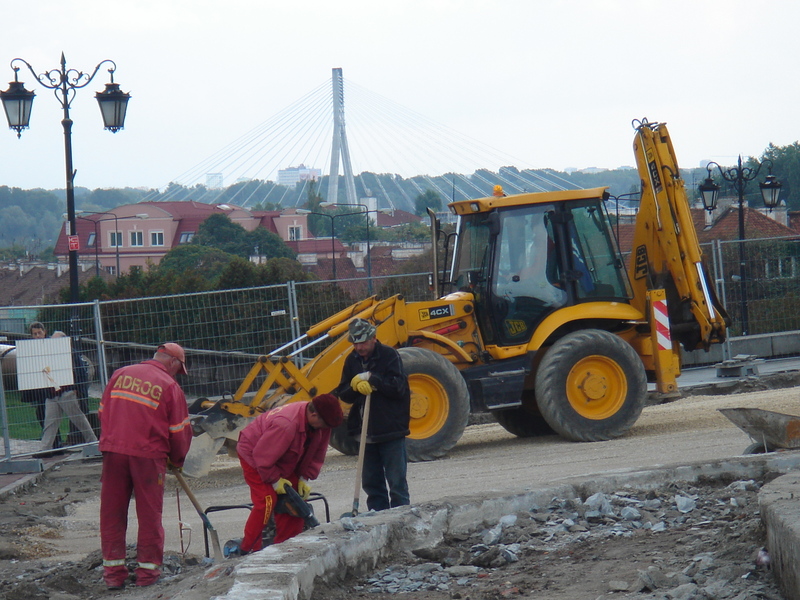 SOEs are part of Eastern European economic landscape. 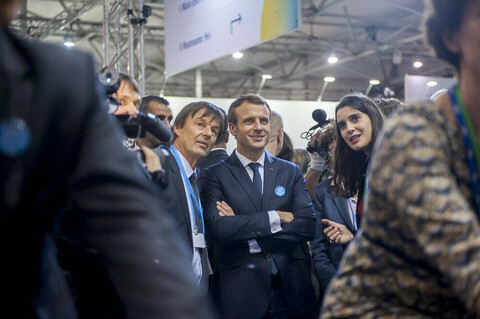 "These are the leftovers from a centrally planned economy," Jan Tarasinski, from the Centre for Social and Economic Research, told EUobserver. OECD data supports this assertion, with only France's huge SOEs bucking the trend. In an indication of how SOEs could be mobilised can be seen in the banking sector, where PZU, the biggest state-owned insurance company, took over Alior Bank last year. According to IMF data the average share of foreign-owned assets in the banking sector in the most developed countries stands at 12%. In Poland it is 60%, compared with 18% in the US, 12% in Germany, 15% in the UK and 6% in France. Minister of finance Pawel Szalamacha mentioned recently that he would like to get Poland's level below 50% very quickly. But repolonisation of the banking sector is not all. 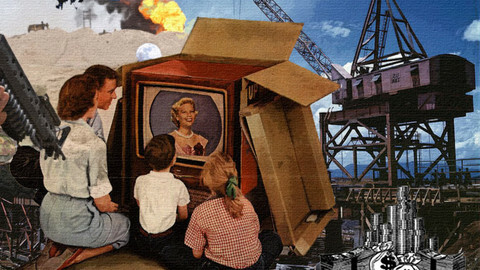 The government is working on an even bigger project in the media sector - a law that would limit the share of foreign capital in the media businesses. Jan Tarasinski from the Centre for Social and Economic Research says the "direction of the changes is worrying". The European trend is to move away from state engagement in the economy, but the Polish government seems to plan the opposite. Two weeks ago treasury minister Dawid Jackiewicz announced plans to liquidate the ministry in 2017 in order to create a “national holding” of SOEs. He said he was also looking at changing the legal status of SOEs, although he gave no further details. The opposition and independent commentators see this move as a way to strengthen political pressure on those companies. 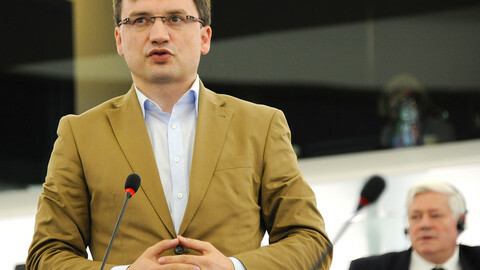 Jerzy Meysztowicz from liberal opposition party Nowoczesna alleged that party loyalists with no little or no experience were being parachuted in to replace long-serving CEOs in some firms. “These were purely political nominations," he told EUobserver. PiS rejects these accusations. But in their Plan for Responsible Development, they did propose that some of the 1 trillion zlotys (€229 billion) that is about to be mobilised to boost Polish investment would come from SOEs. "We are slowly moving toward this dangerous situation in which politicians will be making decisions about how the biggest companies in Poland should invest their money,” said MEP Dariusz Rosati. Another difficulty in the plans is how to boost national capital using legal tools without discriminating against other players in the market? The plan mentions a new law on public procurements, a new way of distributing public financing for companies and a new bill on economic freedom. 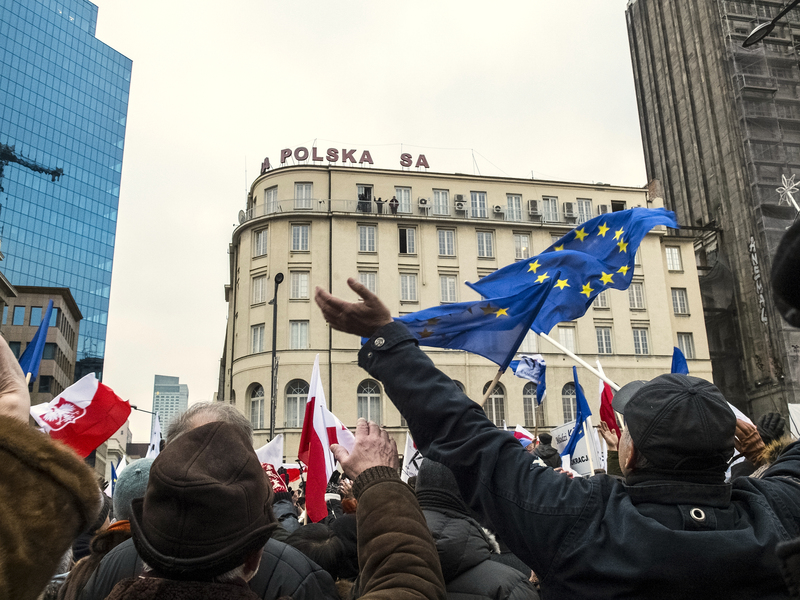 "There is no way we can favour Polish capital without colliding with EU rules on internal market and competition,” says Jan Tarasinski from the Centre for Social and Economic Research. Europe's top media watchdogs have filed a complaint against Poland at the Council of Europe, accusing Polish government of trying to strangle editorial independence.